This companion to the bestselling The Wes Anderson Collection is the only book to take readers behind the scenes of The Grand Budapest Hotel. Through a series of in-depth interviews between writer/director Wes Anderson and cultural critic Matt Zoller Seitz, Anderson shares the story behind the film's conception, personal anecdotes about the making of the film, and the wide variety of sources that inspired him-from author Stefan Zweig to filmmaker Ernst Lubitsch to photochrom landscapes of turn-of-the-century Middle Europe. The book also features interviews with costume designer Milena Canonero, composer Alexandre Desplat, lead actor Ralph Fiennes, production designer Adam Stockhausen and cinematographer Robert Yeoman; essays by film critics Ali Arikan and Steven Boone, film theorist and historian David Bordwell, music critic Olivia Collette, and style and costume consultant Christopher Laverty; and an introduction by playwright Anne Washburn. Previously unpublished behind-the-scenes photos, ephemera and artwork lavishly illustrate these interviews and essays. 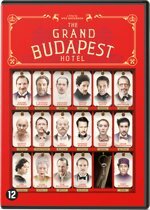 The Wes Anderson Collection: The Grand Budapest Hotel stays true to Seitz's previous book on Anderson's first seven feature films,The Wes Anderson Collectionwith an artful design and playful illustrations that capture the spirit of Anderson's inimitable aesthetic. Together, they offer a complete, definitive overview of Anderson's filmography to date. 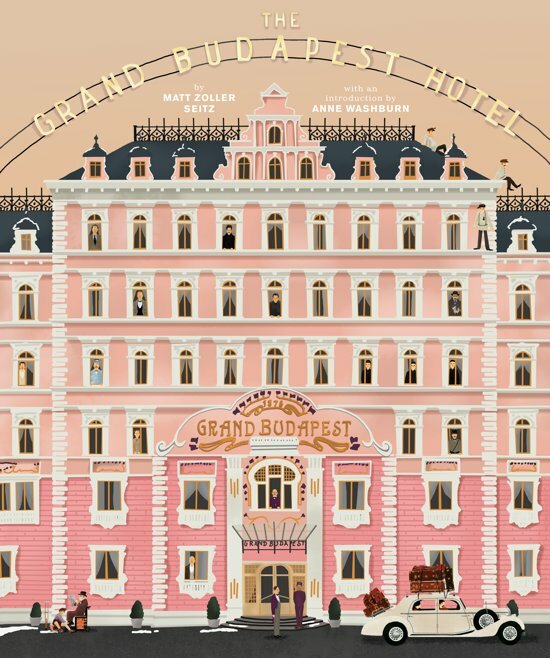 Praise for the film, The Grand Budapest Hotel: Nine Academy Award (R) nominations, including Best Picture, Directing, and Writing - Original Screenplay; Best Film - Musical or Comedy, Winner of the Golden Globe for Best Motion Picture, 5 BAFTA awards, including Best Original Screen Play; Best Production Design, Best Costume Design; Best Make Up & Hair and Best Original Music. 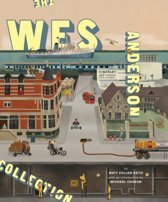 Alweer een geweldig boek over de Wes Anderson wereld. Ik had al reeds het andere boek dus nu staan ze mooi naast elkaar op de kast. Het is een mooi boek met alles wat je hoeft te weten over de film. Er staan ook heel mooie grote foto's in, leuk om door te bladeren! Er is ook weer van die coole artwork met alle personages. Vet cool. het maken van de film. Daarnaast komt de lezer bijvoorbeeld ook te weten waarom Wes Anderson ervoor kiest om zijn personages een uniform te laten dragen. 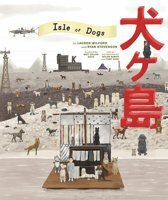 Interessant voor zowel filmliefhebbers in het algemeen als fans van Wes Anderson of de film. Gekocht als cadeau en dat was meteen een succes. Het is zo een mooi boek zowel inhoudelijk als het uiterlijk. Uren lees en kijk plezier voor zowel niet fans als fans. Een boek met leuke weetjes, composities en uitgebreide info van de film. 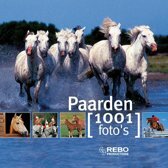 Prachtig boek zeker als je van veel foto's houd. liefhebber van Wes Anderson films.